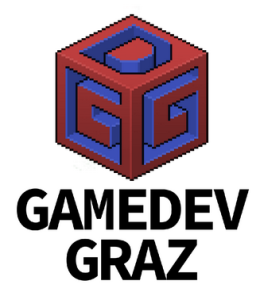 Want to get together with a bunch of creative and talented people and create an awesome game? Well then look no further! 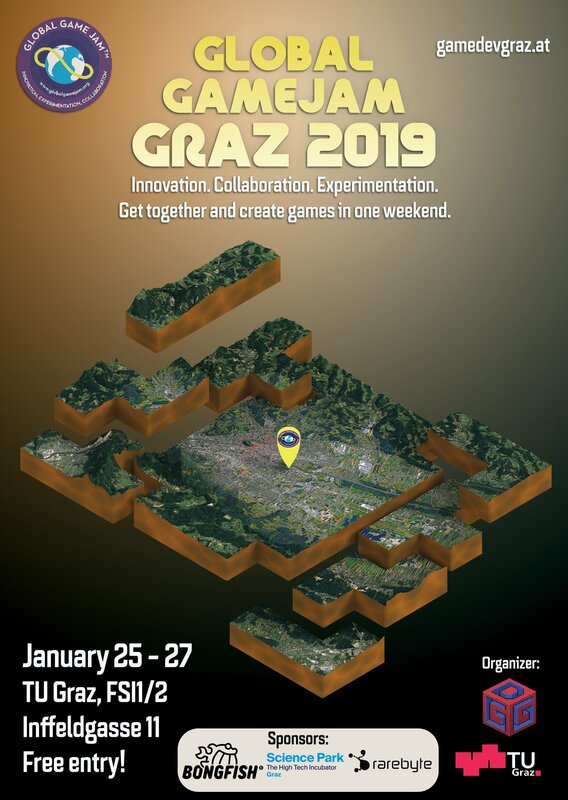 Come and join us at the annual global game jam hosted by Game Development Graz and Graz University of Technology. Here you have one weekend to come up and realize an idea for a game! You can either try it by yourself or create/join a team to complement your skills and create your vision. What makes this game jam special is, that our location is but one of many locations across the entire globe and everybody is working on the same theme at the same time! The number of participants will be limited to 40 jammers! “Jam” is a reference to musician jam sessions, not traffic or spreadable fruit. Do not come to the Jam with a team. Ideally, everyone forms teams on Friday, and get the chance to work with a new collaborator or few! You will have some time to think and pitch an idea. Make new friends or jam with peers you admire. Although having computer skills is helpful, the experience is not necessary. Designers, developers, artists and anyone is welcome to try their hand at making a game during the GGJ. Even if you have no experience at all, you can still participate by contributing ideas, playtest, and give moral support to your team. You could work on a non-digital game, and then there’s no need for code! 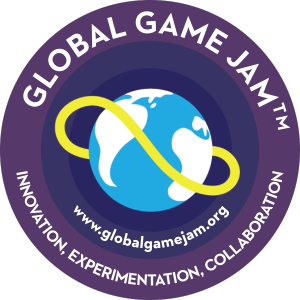 Global Game Jam® encourages innovation, experimentation, and collaboration and encourages both digital and non-digital forms of game making. Global Game Jam® supports safe space events and likes to encourage everyone to make games! No. Everyone is welcome. Check with your local site for any age restrictions.